Just in we offer you this exceptionally well looked after 1 owner Audi Q5 S Line Plus Quattro S tronic. Finished in unmarked Glacier Pearl White with contrasting Valcona Black Heated Leather. 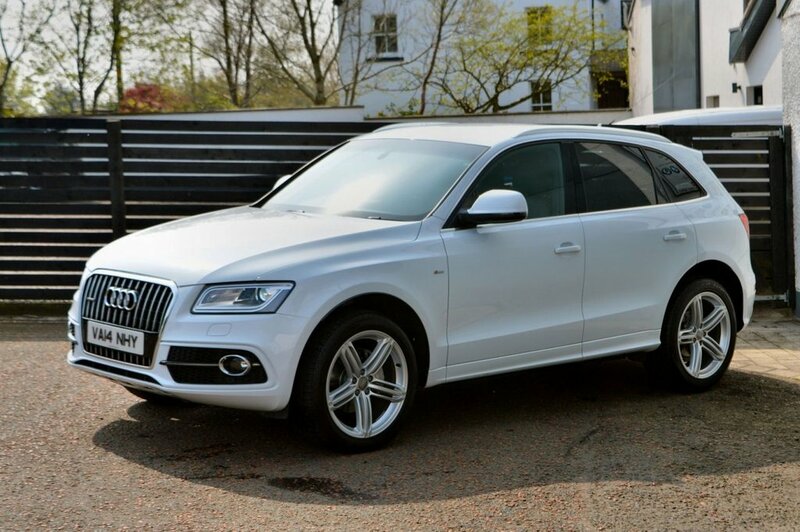 The car comes with a full Audi history along with full service from ourselves for peace of mind. 2 keys, all books, manuals supplied. Facelift Model Impressive spec list with: Xenons Quattro Sat Nav Drive Select (Dynamic/Eco Modes) 20" Wheels (Fully refurbished) Front and Rear Heated Leather Bang & Olufson Speaker System Rear Privacy Dual Climate Auto Lights and Wipers LED Front and Rear Lights Bluetooth DAB Radio Audi Concert (with sub) Front and Rear Optical Parking Power Tailgate This is not likely to sit long in this very rare spec.